One of my FAVORITE bloggers, "The Sweetest Thing" was chosen through pinterest, along with 5 other bloggers to compete in the Hanes Pin-ture Perfect Challenge. Hanes sent these 5 ladies a pair of tights from their spring collection to style with 2 different outfits. Of course I wanted to vote for Emily, being that she is the cutest and most stylish woman I have ever seen! I mean the REAL Lauren Conrad likes her blog for gosh sakes! And I love that she Loves Jesus! Anywho, Hanes was offering a $250 Visa gift card to 3 lucky voters. So out of thousands of voters, I won! I am seriously pinching myself right now! I can't wait to go shopping!! Hello New Spring Wardrobe!!! 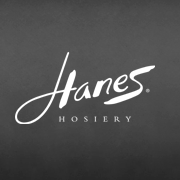 Thank you Hanes!! This is Emily's blog! Check it out!! That's Emily, in the middle in Yellow! Congrats Jessica!!! I just followed your blog on Google Friend Connect and BlogLovin. I hope you can follow mine too over at http://twentysomethingbows.blogspot.com/. Have a great night! Congrats that is so exciting!!! One of my faves Meghan from Citrus Refreshing was on there too!!! Thank you!! I will have to check out Citrus Refreshing!